This Thursday, Apple is holding its next press event for products and announcements. 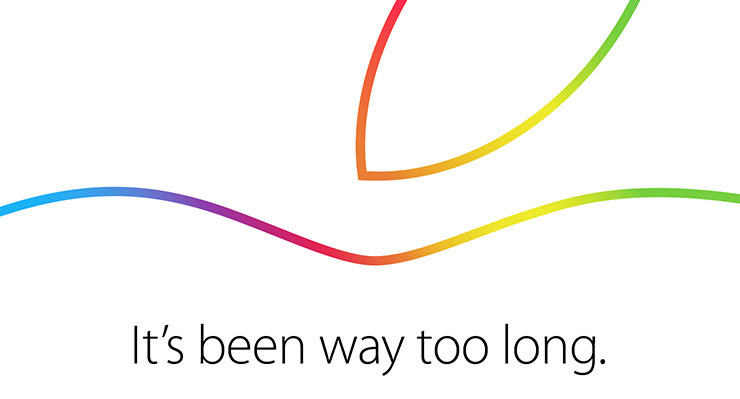 I’ll be there in Cupertino live blogging the news as it happens, starting at 10am PT. I’ve been considering what Apple is likely to debut for the past few days and while it’s easy to predict what some of the new products are — there are new iPads each year, after all — I think the main feature won’t be an “i-product” at all. I’ll get to the new iPads and Macs in a bit, but for now, let’s focus on a different, perhaps more important product. That’s the tagline for the October 16 event. [company]Apple[/company] isn’t one to completely tip its hand on the event invitation, but it is also very particular when choosing its tag-lines. This one screams Apple TV to me, for a few reasons. It’s been a long time since the Apple TV hardware saw a refresh. The current model originally launched in March 2012, although there was a slight refresh on January 2013. Looking at the existing Apple TV from a different view: It’s powered by Apple’s A5 chip, which is the same silicon inside the iPhone 4s and iPad 2, meaning, it’s several generations behind, from a processor perspective. The Apple TV today runs just fine on the hardware it has, for the software it uses and the services it provides. But that may no longer be enough. On the surface, the Apple TV has plenty of viable competitors today, more than ever before. Between Smart TVs, [company]Amazon[/company]’s Fire TV, Roku and other small streaming devices, the Apple TV does all of the same stuff — the only caveat being that if you want music or video from Apple, you can only get it on an Apple TV. So Apple’s “hobby” — one that I’d love to have — needs to evolve if it wants to stand out from the crowd. And one way for that to happen is HomeKit; Apple’s framework for a smarter home. 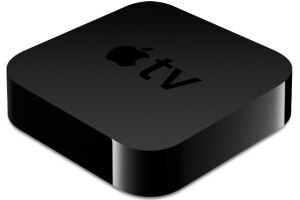 No product that competes today with Apple TV is, or likely will, offer a similar service, and that’s why I think Apple TV may be a star of tomorrow’s show. I expect a completely new set-top box with beefier hardware components with full support for HomeKit. That would make Apple TV the hub of your smarthome, supporting certified third-party sensors and software to control your house with an iOS device. Apple has the potential here to bring smart homes to the masses through simplicity and elegance via iOS with an Apple TV at the center of it all. Maybe Apple TV even gets a rename: Apple HomeHub anyone? I’ll go out on a limb and take this one step further: I’d say there’s a small chance that Apple uses the NFC / Touch ID combination found on the new iPhones to support HomeKit. This would provide both identity and presence for smart locks in the home. For now, this combo is unique to Apple Pay and isn’t available to third-party apps. Through HomeKit certification, though, I could see Apple offering it, since it would still have some control over the usage. Apple’s iPads will surely see an upgrade, but I think it will be incremental. Although some are expecting a new Apple A8x chip inside new iPads, I suspect the A8 inside the new iPhone 6 and 6 Plus handsets will power the new tablets; it’s more than capable. The only reason I can think of for Apple to quickly debut a new processor is that it needs all of the A8 chips it can get for its new phones. I’m also not expecting any change in the resolution for either the iPad Air or iPad mini: 2048 x 1536 will likely be the status quo. Note that the iPad mini is the same 326 pixels per inch (PPI) as the current retina display iPhones, save for the iPhone 6 Plus and its 401 PPI. 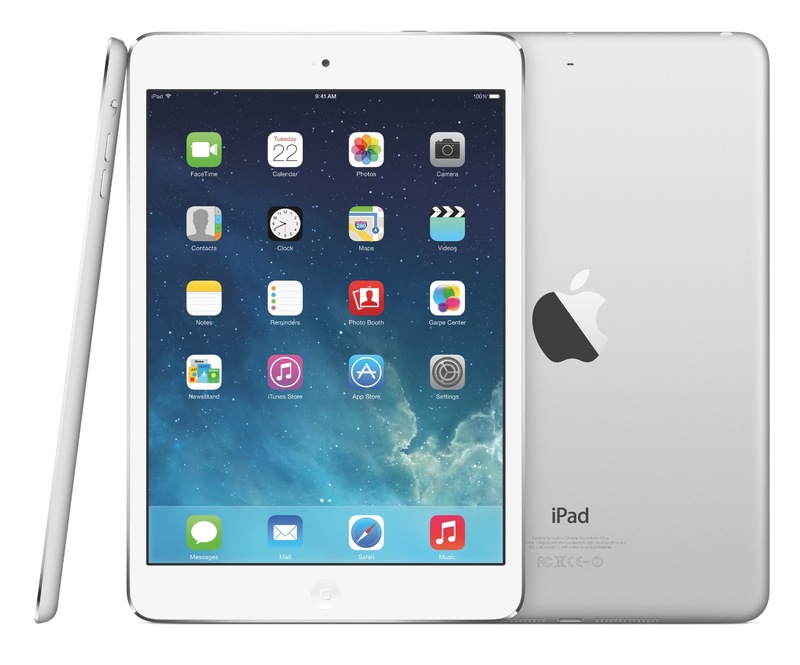 Could Apple boost the resolution on the 263 PPI iPad Air to match? Perhaps, but that would require a resolution better than 2560 x 1600 and would add another display option for developers to deal with. I don’t see it, but perhaps Apple will surprise me. On Wednesday afternoon, Apple posted an iOS 8 user guide to iBooks which confirmed that Apple is updating both the iPad and the iPad mini tomorrow. The iPad Air 2, as it will be called, will have a Touch ID sensor as well as a new rear-facing camera that’s capable of burst mode. 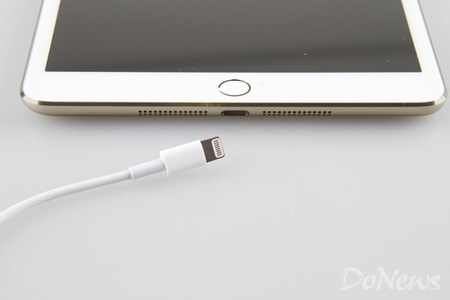 The iPad Mini 3 will also be getting a Touch ID sensor. So what about the alleged iPad Pro? I think we might see it, but more as a preview product — just as Apple has done in the past with its Mac Pro and Apple Watch. Leaks of 12.9-inch display sound right and this device would be a likely candidate for a more powerful A8x processor as well as additional memory. Marketed as a productivity tablet, I could see Apple create its own elegant attachable keyboard for the Pro model and have it support multiple simultaneous applications on the larger screen. Perhaps we’ll get a preview of that iOS 8 feature this week, but not an actual product launch: This would be a teaser for a first quarter launch next year. I’ve been using a 2009 iMac since I bought it five years ago. It’s my main desktop but I only use it for media production — podcasts and videos. I’d probably use it more if the 27-inch display had a higher pixel density, and I fully expect Apple to unveil such a product this week. If Apple simply doubles the resolution of the current 27-inch iMac, which is 2560 x 1440, you won’t have any additional screen real estate to work with but text, icons and apps will be much clearer in the default mode. Disabling the pixel doubling would give you more room to work with, though, just the way it does on the Retina MacBooks today; everything would simply be smaller. While I could see Apple use a retina display on the 27-inch model, I’m not sold on it doing the same for the 21.5-inch iMac. This is to be a premium product by comparison to today’s iMacs, so while the current iMacs will still be around for a while, I think only the larger iMac will get the retina display treatment with a good $400 to $600 price boost. 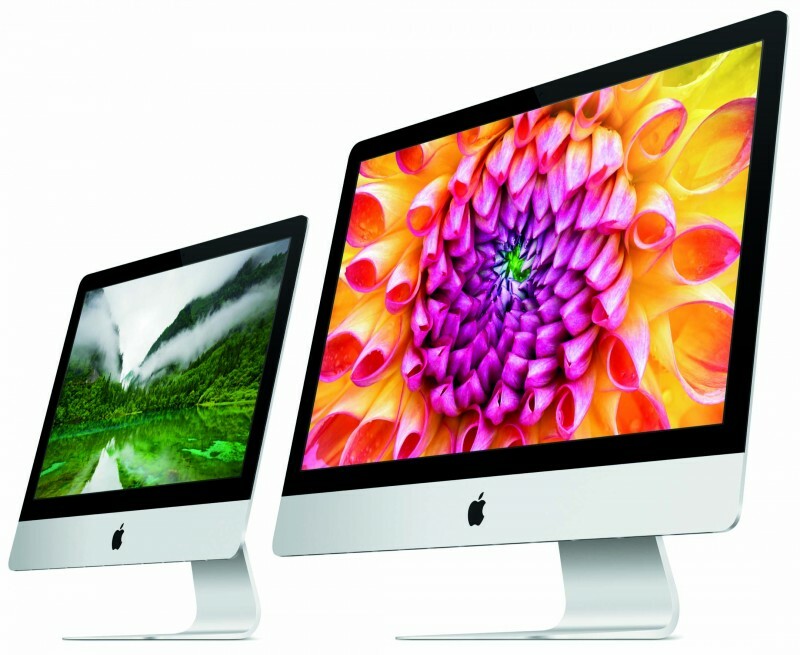 Apple could nudge prices of the non-retina iMacs down a bit at the same time. If Apple can get a 27-inch retina iMac priced at $1,999, I’d be very impressed; unfortunately, I think this will cost north of $2,100. 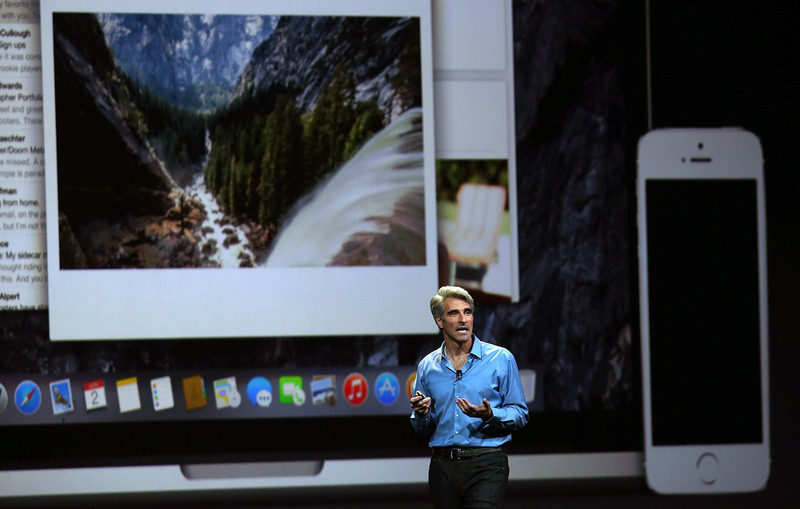 I’d be remiss if I overlooked the latest Mac software, which is named Yosemite. As part of the Yosemite beta program, I installed the most recent update, called a GM candidate, earlier this week. It’s the third one and I suspect that’s the final version that will launch publicly and as early as tomorrow. The free upgrade has several great features that let iPads and iPhones work better with a Mac. I’ve been taking phone calls on my MacBook, for example, seamlessly routed over Wi-Fi from my iPhone 6. You can also start a document, for example, on an iPad and pick up where you left off right on the Mac, or vice versa. Apple will surely demonstrate this ease of use on stage at its event. Much of the focus, then, will be on Apple showing that if you stay in the world of iOS and OS X, you get a first-class experience with both hardware and software. And while the Macs and iPads will step up to make that argument compelling, I still think the star of the show will be the Apple TV. This post was updated at 2:00PM ET with additional details from Apple’s leaked iOS 8 user guide. Apologies for my last comment. It should read IOS 10.9.1 and iTunes 11.4. Perhaps Apple should back up a bit with some of its issues. For instance, iPhones and iPads that cannot connect to the MacBook via iTunes. It seems to be a continuing problem with OS 9 and iTunes 11.4 that even AppleCare does not seem to know how to fix. Something about a faulty Apple Mobile Device Driver, but no fix in sight. Makes one wonder about the “connectivity” promised in these new models. Already emailed the rep I deal with at PowerMax that – if there’s a new AppleTV and it doesn’t include extra dollar$ for a TV set – I’ll take the first one he gets. Interesting that I just got an email from iTunes that content delivery will be undergoing maintenance later this month for 6 hours during the day on a Sunday. That with news from HBO, gives me hope. they need to get touch ID onto all the iPads ASAP. I long for the day when all payment confirmation / account signins are biometric.. Thanks for another great post. It’s always nice to hear about these.